Working with my clients to create beautiful and functional spaces. For residential clients I bring design, renovation and styling experience as well as many years of living and growing with children and understand the need for functional spaces that are also beautiful to support happy family environments. For commercial clients I bring 20 years of hospitality service management experience and understand the need for design that wows the customer, assists staff to deliver day to day service requirements and supports brand connection. At Review Interiors we are driven by a passion for helping to create a space that reflects you – your personality, dreams and unique style. Contact us today for advice and inspiration, and let us help you to make your space your very own. I'm here to offer you experience, knowledge, advice and support as you renovate, redecorate or sell your home. I help you orchestrate and weave together all of your ideas to create a cohesive home design that is more personal and gratifying to serve you for years to come. As you may already know, when the building, renovations or house move begins, the number of decisions required starts to escalate. A designer's assistance can provide greater clarity and ease to navigate through all your available options. Being well prepared for any construction or renovation project is the best way to ensure that you make the right decisions, without regrets, and maintain your budget. Studying houzz for ideas is therefore incredibly valuable for prioritising the dreams for your house and finding products that you love. 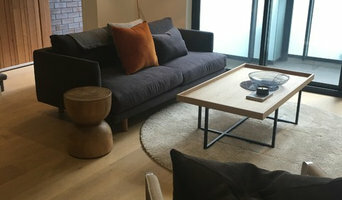 I am a residential interior designer and decorator who has lived and worked in London and the American East Coast, but now call Melbourne, Australia home. With over 20 years’ experience spanning interior architecture, interior design, home decorating and styling, I can tailor my services to suit your personal style and design needs. Your finished home will be functional, well thought through and designed for complete comfort according to your own style and preferences. My aim is to help you create beautiful environments that exceed your greatest expectations and fulfils the dreams that you initially had for it. A great home is not just about the uniqueness, whether it be architecture, interiors, textures or products, but who lives in it and how they live. For me, no project is ever the same as each creative opportunity has a heartbeat of its own. Making a home beautiful is like creating a piece of art. You work with colour, textures, form and heart. It’s not one element but many that dance together to create the perfect aesthetic that is infuriatingly fabulous. Taking one’s dreams as far as they can go is where the magic happens. Some people are thinkers, others are doers. I am both! 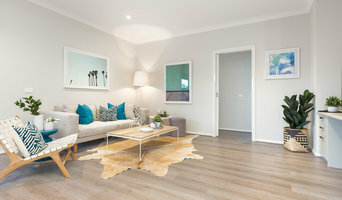 Welcome to Mild Designz The Mild Designz team provides start to finish design and project planning services for home owners,property investors,commercial businesses or those who have a 'vision' but are not sure how to make their design dreams a reality. Renovating your house,unit,apartment or increasing your value for sale or renting.Our services can make it happen for you. We spend the time in making this as easy as possible. Interior Design/Project Management Mild Designz Working in Retail sector with over 25 years in planning /buying position at Myer followed by National Operational ,Marketing and Leasing Management positions for several leading women's wear brands.Planned and refit of boutique stores in strip shopping and major dept stores in large shopping centre throughout Australia. Over 20 years experience renovating residential properties for profit. Studying interior design and drawing on my years of experience in planning,fashion,renovating making clients 'vision' dreams a reality. 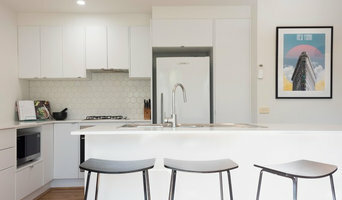 Tailoring a creative design solution with expertise and full project management of kitchens,bathrooms,laundry,living spaces indoor and outdoors,all completed by my highly skilled qualified trades team. 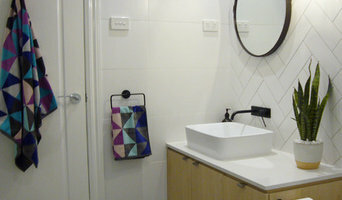 Creating stylish ,practical and affordable interiors for both residential and commercial clients in Melbourne. Managing renovation projects of all sizes providing colour, flooring,window and soft furnishing consultation. Renovate -Style -Sell Renovating your property will not only boost the sale price but will sell it faster! We make it easy servicing all your renovation needs from kitchens,bathrooms,living areas including outdoors.Finishing with Styling touches to your home or investment ready for market. We are your one stop shop as "First Impressions count"
Newhook Design utilises an extensive range of carefully selected suppliers and manufacturers to offer expertly tailored design solutions. Our specialties include small renovations, furniture selection, custom-made soft furnishings, drapery, blinds and shutters. Beautiful fabrics, lighting and complementary accessories provide the perfect finishing touches to the transformation of any space. We pride ourselves on partnering closely with you to match your personality, preferences and budget, to complement your architecture and to incorporate your most treasured pre-existing features, such as artworks, furniture and private collections. We will nurture your vision through to completion, offering as little or as much guidance as needed. Whether transforming a single room or refurbishing an entire home, the end result is always a breathtaking reflection of the colours, fabrics, furnishings, textures and artefacts that best reflect and showcase who you are and what makes your home a truly exceptional space to experience. 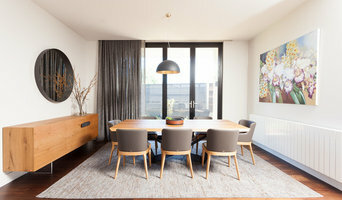 D3-id is an interior design and styling company proudly based in the heart of Melbourne. We offer a boutique and personalised service that listens to our clients needs and transforms their homes into bespoke masterpieces. Our team firmly believes that our clients are our partners and collaborating with their opinions will truly provide each home with its own distinctive voice. Our story Design Our team understands that the design process is an intricate and complex one which requires much work and attention. With our expertise and experience, our focus is to maintain a strong emphasis on aesthetics without compromising on our clients comfort or quality of life. We will take into consideration the architectural features of the property and utilise it to map out the possibilities for innovation. As with all our remodelling projects, our aim is to bring forward the true reflection of the home's potential and make it better suited to our clients personality and lifestyle. Decor At D3-id, we strongly believe that furnishing and decorating is an important reflection of a home and has the ability to breathe life into it. We go through a meticulous process where each piece is tastefully handpicked and impeccably coordinated to elegantly define our clients personality. Whether it's accessible high street pieces or unique designer products, we believe that with a creative eye and an innovative hand, there are no limits to what can be achieved. Detail When it comes down to the details of our projects, our team provides a bespoke service that has the ability to coordinate all the specifics necessary to bring your vision to life. We provide services that manage all these little yet demanding aspects whilst helping to achieve it within your expectations and limitations. We pride ourselves in our creative solutions and our greatest intention is to make this journey to your new home a pleasurable and exciting one.